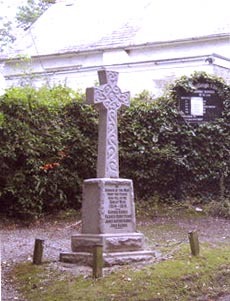 Philleigh – formerly known as Eglos Ros, meaning heath church, before being named after the village saint, St Filius – is a quiet little hamlet just at the top of the Fal estuary. It used to be on an old coach road from London to Penzance, when all traffic used to go over the King Harry Ferry, which has been active since medieval times. The sixteenth century pub, The Roseland Inn, is still a thriving centre and has recently seen the addition of both a village shop and brewery to its premises. 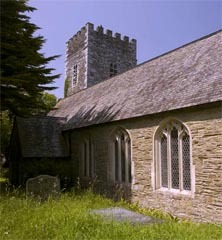 The church in Philleigh is mostly Victorian with a thirteen century tower, but a church has resided there since the seventh century. The main event of the year is the Philleigh Country Fayre, which runs on two separate Wednesdays in July and August. There are traditional games like hay-bail throwing, duck racing, dog racing – where you can enter your own dog, if you think it fast enough! – and a great closing game; egg throwing. Down below Philleigh right on the estuary next to The King Harry ferry lies Smuggler’s Cottage. Now a restaurant and cafe, it was in the centre of the D-day landing preparation during the 2nd WW and was where Eisenhower stayed during those preperations. Annual events: Philleigh Country Fayre – Last Wednesday in July and second in August.